Easton Commons brings together contemporary apartment homes with extraordinary architectural detail and an unparalleled location in the Easton area of Columbus, OH. Our location adjacent to Easton Town Center means easy access to shopping, dining, and offices in a mixed-use outdoor lifestyle center. 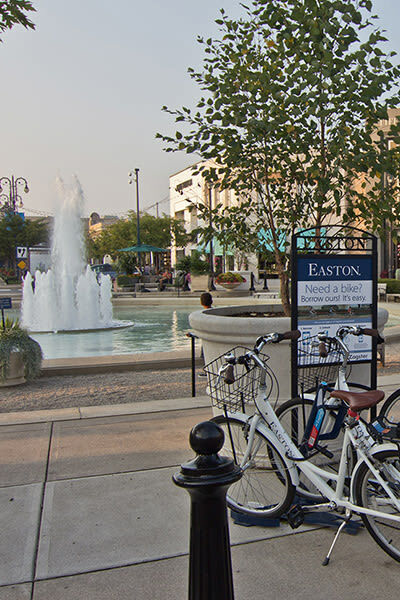 Whether you seek a one-of-a-kind dining experience, an evening of entertainment, or a day of upscale shopping – you’ll find it at Easton Town Center. 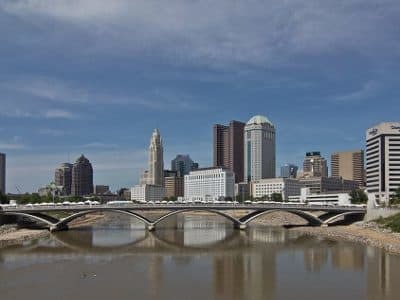 With easy access to I-270, Easton Commons ideal location places all of Columbus and the conveniences you need for your daily life within reach. Trader Joe’s, Giant Eagle, Target, Costco, and Kroger are all nearby, making it a breeze to stock your shelves. With major employers Easton Town Center, Chase Bank, and Huntington Bank all close to Easton Commons, you’ll have no problem with the daily commute. John Glenn Columbus International Airport is close enough to make your travels convenient, yet far enough way to avoid airport noise. Whether you have school-aged children attending elementary, middle, or high school, access to education is effortless. We’re even located close to The Ohio State University, for residents furthering their education at the college level. Tours may end earlier than office hours.